Free vector business people, vector silhouettes. Nice 41 business vectors in .eps and .ai (adobe illustrator) format. Fantastic collection of silhouettes download for free. 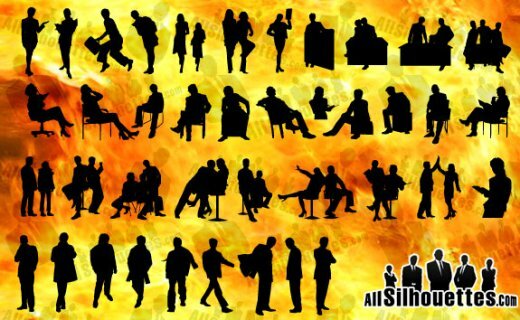 keywords: agreement, art, background, black, brief, business, businessman, case, cell, clip, clip-art, contour, corporate, costume, crowd, cutout, design, dress, female, file, folder, group, handshake, illustration, lady, male, men, outline, people, phone, shadow, silhouette, standing, success, suit, talking, teamwork, tie, vector, white, work, young, youth.